Fans gathered en masse at the Liberty Memorial in Kansas City Saturday for local rock radio station 98.9’s The 23rd annual show was probably the biggest over, with more than 50,000 fans heading to the top of the hill in downtown Kansas City for 20 bands and more than 12 hours of live hard rock. CMN was at the venue at about 10:30 a.m. and crews were still spreading mulch all over the grounds to combat the mud, after a very wet month of May. Crowds didn’t mind the dampness, or the chilly temperatures as the area down the hill from the main stage became a mess, with mud flinging battles and wrestling matches erupting throughout the day. The friendly atmosphere really made the festival. Throughout the day people were tossing Frisbees, playing hacky sack, and sharing high fives and hugs. People of all walks of life could be spotted across Rockfest, and that’s what makes it so special. Musically, Rockfest 2015 offered the festival’s strongest lineup yet. The Worth Harley Davidson second stage lineup featured Nothing More, Otherwise, We Are Harlot, Motionless In White, Sidewise, Crobot, In This Moment, and Anthrax. The main stage lineup included the Pretty Reckless, All That Remains, Tech N9ne, Papa Roach, Halestorm, Volbeat and Rob Zombie. Before any of the bands had taken either stage, rumors were swirling that the Pretty Reckless would have to cancel as one of their members was ill and they had to cancel the previous night in Iowa. The rumors rung true so a big shift happened, bringing We Are Harlot to the main stage and up-and-coming Lola Black to the Worth Stage. Throughout the day the show was full of surprises. Kansas City rapper Tech N9ne was one of the biggest surprises, as Johnny Dare noted when he introduced the festival’s only hip-hop act, “this man deserves to be here just as much as any one of us.” Tech N9ne did not disappoint and had the crowd into a frenzy as soon as he hit the stage. Show-wise, all the bands were pretty good. Halestorm drummer Arejay Hale took a spill backwards out of his drum stool but was, luckily, perfectly fine and finished the band’s set. Nothing More’s bass solo, if it can be called that, was amazing to see. Three of the band’s members play one bass that is setup on a stand at stage center. The melodic chaos that ensues is completely entrancing. In This Moment’s theatrics rival those of Rob Zombie, with backup dancers, smoke and laser lights to accentuate each song. 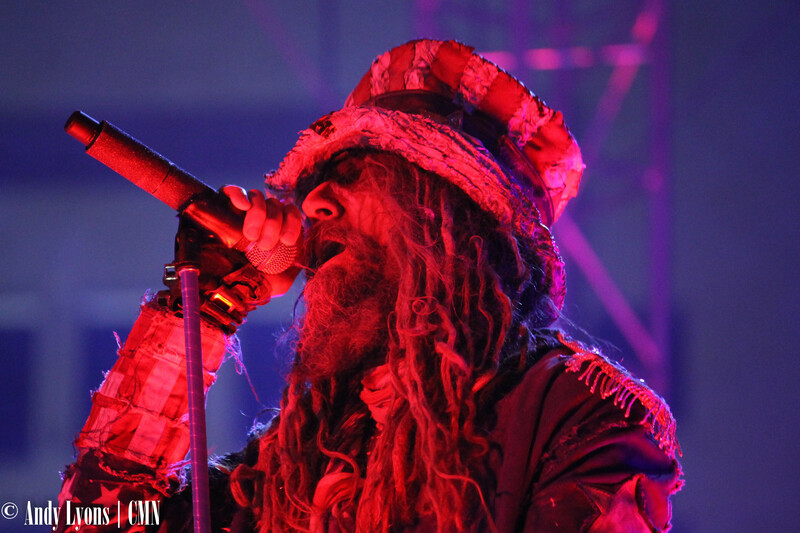 Rockfest officials couldn’t have chosen any better when they chose Rob Zombie to bring the show to a close. It was the group’s first show in eight months, Zombie has been working on a new horror film called 31. It will be a tough show to follow, hopefully Rockfest organizers can put something together next year to keep the momentum and keep rock alive in Kansas City. A full recap is available on 98.9's website here.